The teacher-absence policy at my school was clear: The teacher isn't coming to school? No technology for the class. The rationale is that it's just not worth it. Devices are too valuable to be trusted with kids when they don't have experienced supervision. Only the classroom teacher can manage classroom tech. It's true that subs don't always find quick success with classroom management. Some can maintain a positive environment by establishing relationships with students right away. But devices cost a lot of money, and schools typically will do everything they can to protect that investment. But how does this policy affect students? From my experience, banning tech due to teacher absence is a big missed opportunity for student growth and independence. As the classroom teacher, I learned that the biggest factor for how things went when I was gone was the strength of the classroom culture. How well had I prepared my students? How much ownership and voice did they have? An empathetic, responsible and student-centered culture does not come easily. It takes many years of trying many approaches to see concrete results. A crucial step is the leap of faith that has to happen at the beginning. I had to relinquish control as the sole author of what we did and how we did it. To empower students to begin to take on this responsibility, I had them visualize what they wanted the class to look and feel like. Using apps like Animoto and Google Slides, they created visuals of how the desks would be arranged, what would be on the walls, and how the room would be used. I also used digital citizenship lessons to support students in developing emotional awareness and being considerate. Once this began to take shape, we had a foundation where using and managing devices was not some rarified activity, but just another thing my students owned and felt responsible for. And so, when I couldn't be there, my students were fully prepared to use and take responsibility for the devices in the room. But what about the "no tech with subs" policy? Well, in my case, I demonstrated this student ownership to my administrator and gained an exception for using devices when I was absent. Given the stakes for our students, it was impossible to justify, either to myself or to them, allowing "throwaway" days just because I couldn't be there. Such an allowance would undermine the culture of commitment and hard work that was fundamental to our daily work. My absence simply could not be a reason to stop our learning trajectory or allow an unproductive misuse of time. Making use of an LMS. In my case it was Schoology, but the same could be done with many other platforms, like Edmodo or even Google Classroom. Setting up and distributing assignments to students through this platform allowed for direct communication between my students and me, even when I wasn't there. It also provided differentiation by giving students choice in how they completed the assignments and by giving them access to the resources they needed to do the work. Providing student choice. Using a shared Google Doc, I created an a la carte menu of app options that students could use to work on independently. These options changed, depending on what we were learning, but the structure didn't. It was up to students to choose, and they got credit by completing a detailed reflection of how they'd spent their time. Tools like Newsela, Curriculet, and Minecraft are great for independent work. And depending on how you set them up, these learning resources can include creativity and gamification that keep kids engaged. There are many challenges to developing and maintaining a productive classroom, and perhaps even more to being an effective substitute teacher. But with a strong, student-centered culture and thoughtful use of technology, it is possible to have success with both. A version of this article was originally published on Substantial Classrooms. Jamie Knowles is senior manager, educator, professional learning programs, at Common Sense Education. 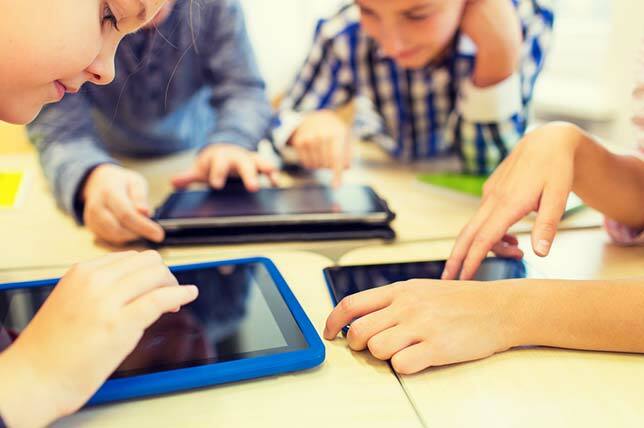 Common Sense Education helps educators find the best ed tech tools, learn best practices for teaching with tech, and equip students with the skills they need to use technology safely and responsibly. Go to Common Sense Education for free resources including full reviews of digital tools, ready-made lesson plans, videos, webinars, and more.